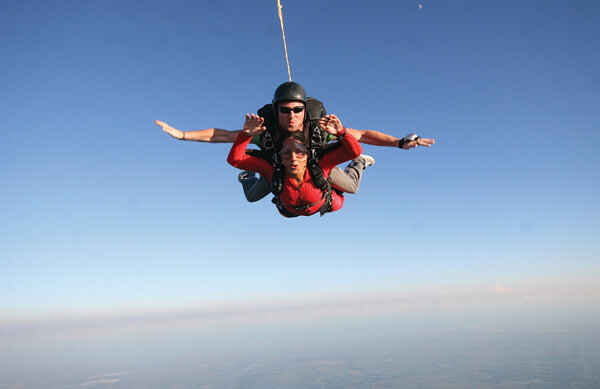 A Little Hut - Patricia Zapata: get out of your comfort zone - i went skydiving! get out of your comfort zone - i went skydiving! Something a little different for today. Shaking up things a bit can be a good thing. A really good thing. 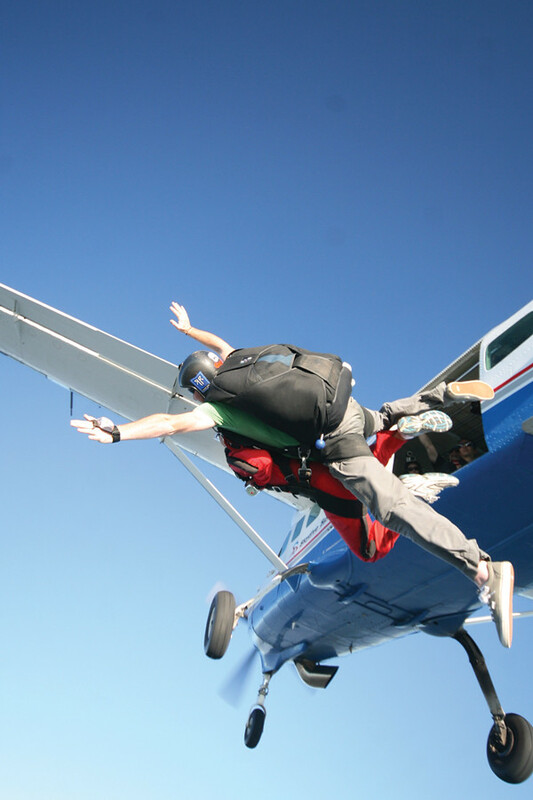 I did it by skydiving on Saturday and it was SO, SO AWESOME! However many hours later and I still feel like I'm running on the effects of the jump. I want to hop on a plane and do it all over again. It was the most fun experience I have ever had. My advice for whoever is thinking about doing it—just DO IT and if you can convince family and/or friends to go it's even better. I'm glad that I got to share the experience with my brothers and sister-in-law. It wouldn't have been the same if I'd gone alone (the original plan). Mr. Z, the kids, my parents and my other sister-in-law also went for moral support. Our daughter was seriously upset that she couldn't jump with me (even at 9 she's definitely our little daredevil—oh scary! ), but I promised her that we'll go together on her 18th birthday. - It's pretty cold at 14,000 ft—more than I would've thought but it didn't phase me. I was more concerned with other things! 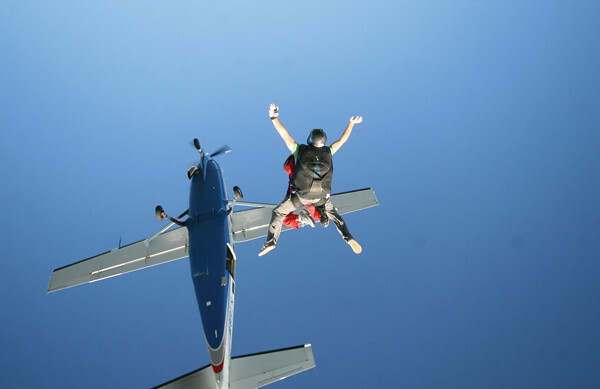 - Free falling is loud... like REALLY loud—like having all your car windows open while driving down the freeway x10! 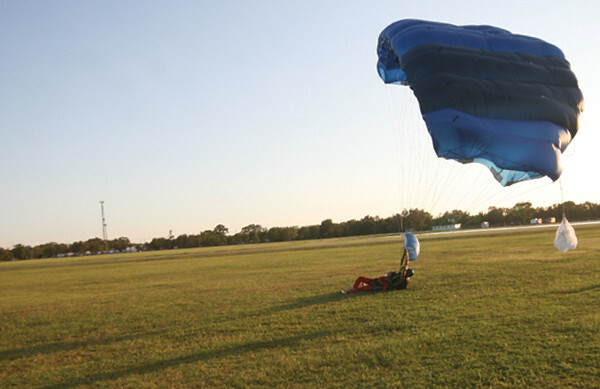 - The stopping force when the parachute deploys is incredible! Wow. - I thought I'd scream at some point and I didn't but like my DD said I was probably screaming on the inside all the way down—not out of fear but just out of shear excitement. - Bungee jump — Nope! Never. It scares me to death and I don't see the point. - Go down a zip line — Nope! Something just freaks me out about hanging by a 'thread'. Oh and I don't like roller coasters although I've been on several. I keep thinking one will help me understand what everyone likes about them—still waiting. 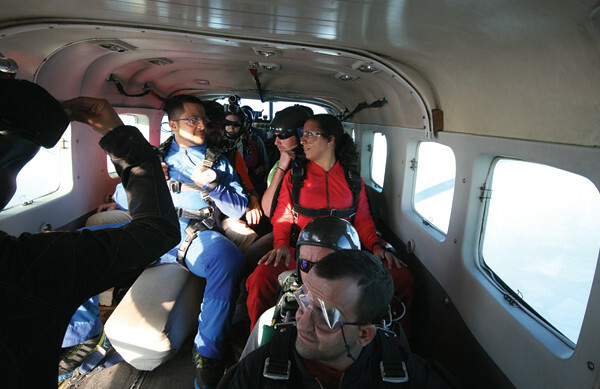 For those that have asked, no, skydiving doesn't feel like that at all. No yucky stomach upturn feeling. What you don't see... At least 5-8 minutes of dropping peacefully with the parachute and looking out as far as the eye can see (our side of Texas is so boringly flat!). It's as peaceful and quiet as I imagine what a hot air balloon ride would be like. It gave us enough time to have a conversation with my instructor about how people react to the experience so differently. His weirdest experience = in midst of the serene descent his jumping partner started crying and said that she needed to ask her husband for a divorce! What!? I seem too calm in the video—it's not a reflexion of what I was really feeling. After the jump I wanted to literally scream my head off, jump up and down and high-five everyone. The adrenaline rush was just incredible and the feeling of just WOW was overwhelming—it's hard to describe. I couldn't even come up with anything other than "awesome"-ha! I don't know how I kept it all in check. Thank you to my instructor Kieran and videographer Nick for making the experience so incredible (really nice guys!). 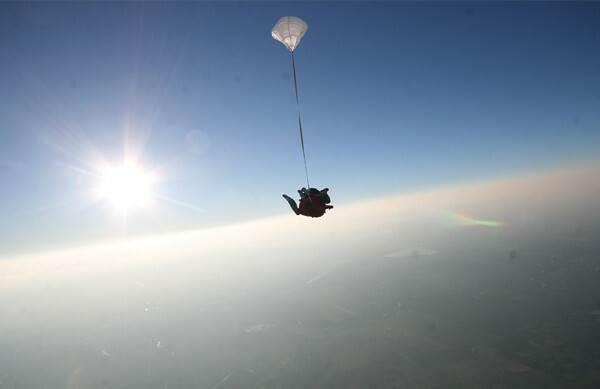 You may not want to go the skydiving route but I highly recommend getting out there and just doing something different. It's so worth it! What are you waiting for? The video is embedded below. If you are reading this post in a reader you may not see it but you can click here to see me in all my craziness.